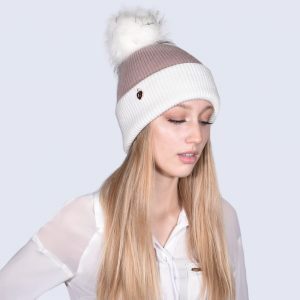 The ultimate in cosy luxury, our new two tone hats. These are the perfect choice for Après-Ski or chilly winter walks due to their double lined cashmere, wool and acrylic blend finish. 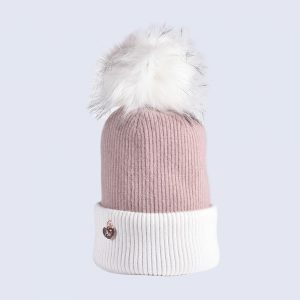 So cosy and chic, you wont want to take it off. Available in black and grey or oatmeal and white for that understated elegance while staying warm at the same time. 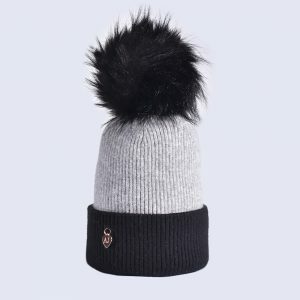 Category: Two Tone Faux Fur Pom Pom Hats.